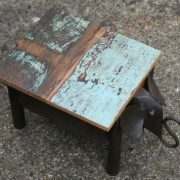 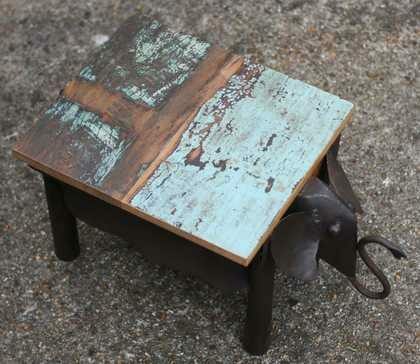 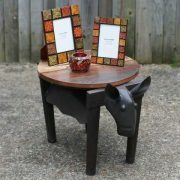 Quirky elephant side table made from wood/metal. 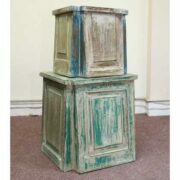 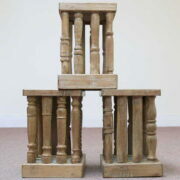 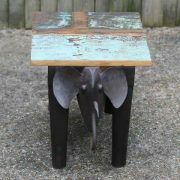 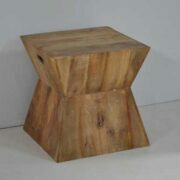 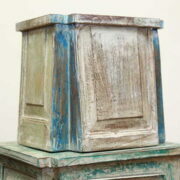 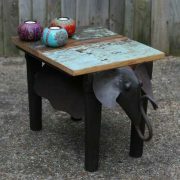 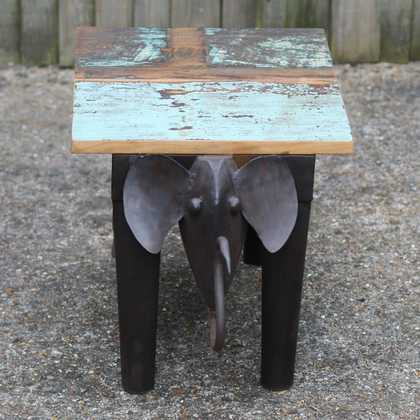 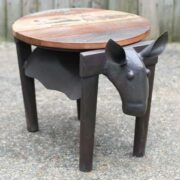 Quirky but great side table consisting of a solid, reclaimed wooden top supported by an iron elephant. 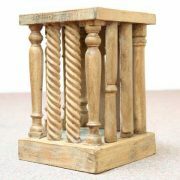 Suitable for inside or out. 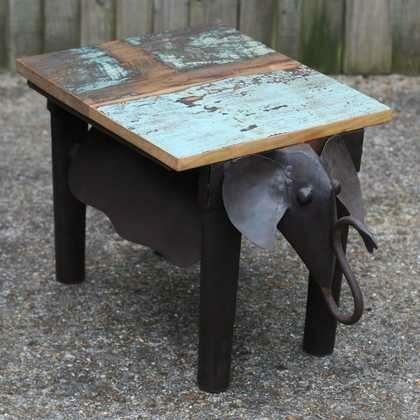 Note: It will rust if left out permanently.